Women’s tennis (10-14) traveled to Tallahassee to take on Florida State this Saturday, April 13, but unfortunately suffered a 7-0 loss. They’ve lost 11 consecutive matches thus far, nine of which have been ACC matches. Women’s tennis holds a 2-12 ACC record. The doubles lineup consisted of junior Raven Neely and freshman Dina Chaika at the No. 1 spot, senior Sena Suswam and freshman Chloe Hamlin at the No. 2 spot, and senior Ola Mally and junior Diana Wong at No. 3. FSU swept all three doubles matches. No. 32 Emmanuelle Salas and Ana Oparenovic (FS) defeated Neely and Chaika 6-2. Carla Touly and Ariana Rahmanparast (FS) defeated Suswam and Hamlin 6-2. Finally, Mally and Wong fell 6-4 to Petra Hule and Andrea Garcia (FS), giving the Seminoles at 1-0 lead heading into singles. The singles lineup included sophomore Nikolina Jovic at the No. 1 spot, Neely at the No. 2 spot, Suswam at the No. 3 spot, Mally at the No. 4 spot, Hamlin at the No. 5 spot, and Wong at the No. 6 spot. To start off singles, Petra Hule (FS) defeated Mally 6-2, 6-1. 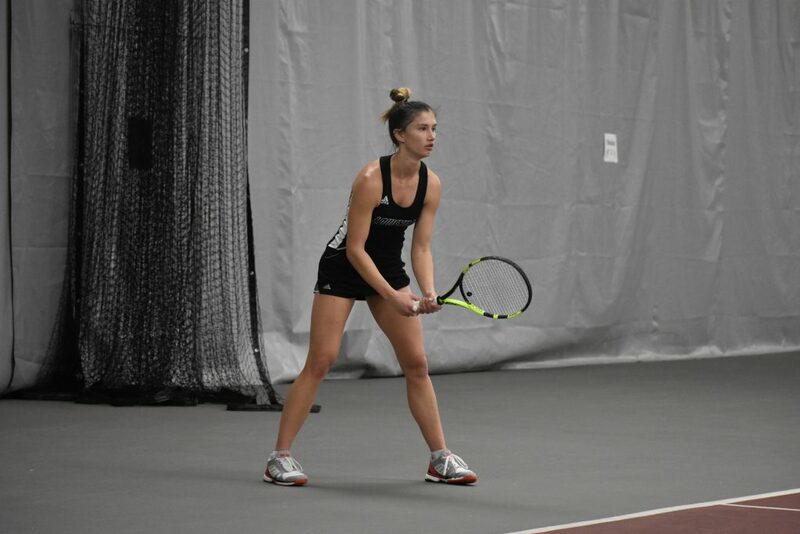 Suswam fell to Ana Oparenovic (FS) for another 6-1, 6-2 loss. To clinch the match, Ariana Rahmanparast (FS) defeated Wong 6-0, 6-4. Play continued on court two as Emmanuelle Salas (FS) defeated Neely 6-4, 6-4, making the overall score 5-0. Next, Jovic fell 6-3, 6-2 to No. 34 Carla Touly (FS). Hamlin fought, but ultimately fell short losing 4-6, 6-2, 1-0 (10-7) to Julia Mikulski (FS), leaving the Cards with a 7-0 loss. Women’s tennis travels to Cary, North Carolina to finish off their season this Wednesday, April 17.